Okay I know the contents of this article are going to come as a shock for most of you. 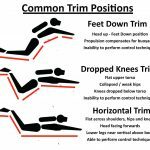 Please take the time to read this article in full; it may save your back – literally!! 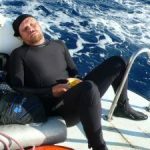 After much debate I finally decided to write this article, as in the last 6 months I have received an increased amount of emails from divers all over the world, telling me that they have taken training with a sidemount instructor and after training they find sidemount is not working for them… and they are thinking of going back to backmount! Before we get into this, I personally do not think any particular piece of sidemount equipment or training agency is to blame for what is happening. What I am putting it down to is the quality of the actual sidemount training divers are receiving from their chosen sidemount instructor. 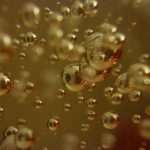 Having re-looked at many of the emails I received and replied to, I noticed many similarities in what problems the divers where having, which hopefully I will explain by you reading this article. 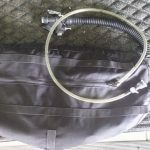 Sidemount equipment doesn’t feel stable enough and is too much hassle to use in the water, so I stick to a twinset for technical diving as it is easier & safer. Steve – having reviewed your online videos, I can’t dive sidemount like you or your students seem to, you make it look easy!! Here are some pics; can you tell me what am I doing wrong..? 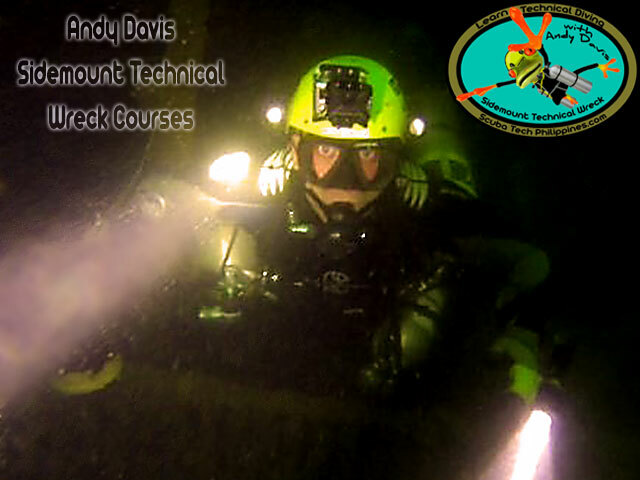 I have taken sidemount training, and since I spent time looking at your website, I now feel that I didn’t get much from my sidemount training & instructor. Comparing to what I see on your pictures and video, my tank trim is horrible and is constantly causing distraction to me during the dive, how do I fix this..? On the surface I can’t float upright, do you find it a problem too…? I have approx 20 dives in sidemount now; I just added my deco cylinders and find the whole thing task loading compared to using backmount. I must be doing something wrong, can you advise me..? I am confident with a twinset!! Once I added my cylinders I was grossly over-weighted and felt like I had just started diving again, is this to be expected..? I think the sidemount system I use is the problem, Steve what do you think to this system vs. this other system and then what about if I then change this bit and alter this bit etc..? Their course duration was too short (just 1 or 2 days); this is not enough time spent learning sidemount correctly (3 to 4 day minimum). 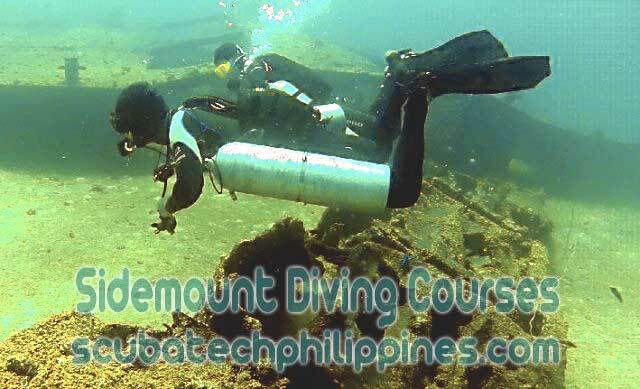 Usually a poor configuration of all sidemount equipment in respect to what is being used, its setup & how the skills are being performed. There were too many students on the course (should be max of 3). The sidemount instructor they had was lacking actual experience diving in sidemount; most likely they received poor or no training themselves. 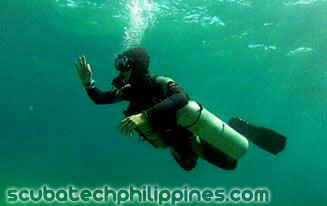 Technical diving using sidemount can be more difficult and problematic than say using a backmounted twinset. This is due to sidemount’s flexibility and higher demand on correct cylinder configuration, valves, SM system, hose routing and skill sets from each diver. That said, done right it is far superior to backmount! With sidemount equipment everything makes a difference; your bungee tension, cylinders & cylinder valves used, height of cylinder band placement, cord & bolt snap lengths, your body size, fin choice… the list goes on. It is true I will always favour and recommend a sidemount system to you; it will be the one I believe is the best on the market at the time. 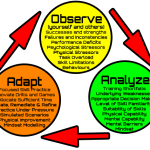 I will only let you use a system that doesn’t compromise or interfere with the training I offer you. A lot of people are surprised and didn’t think we would need the 4 full days but believe me, everybody does. I want you to leave me knowing exactly how to use sidemount for the diving you do. 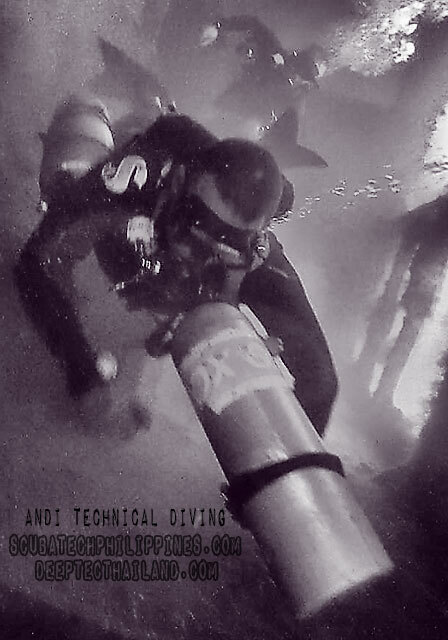 I will spend enough time building the right skill sets with you, so you continue to stay in sidemount after training!! Please note: Answers to those questions above and many more can be found in the FAQ’s section on my website (view here). 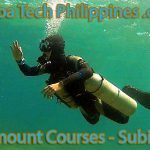 Is it hard to find a good sidemount instructor? 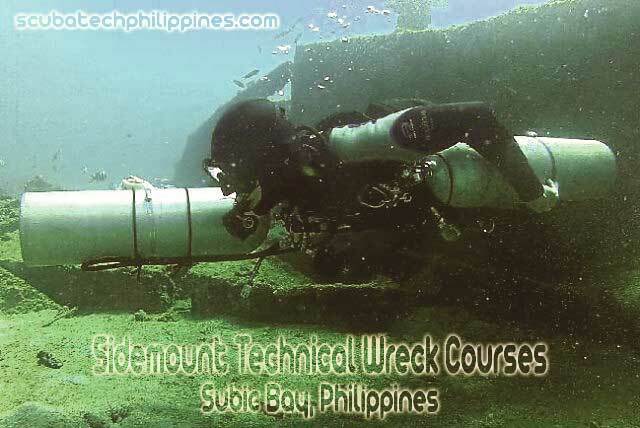 I think it is easy to tell what kind of sidemount instructor they are. If they are claiming to be the best at everything and just recently jumped on the “sidemount band wagon”, I’d question if you would get good training from them and if they were worth choosing as your sidemount instructor. Basically, do your research! 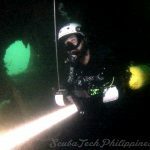 I suggest you look at how much time that instructor actually spends diving in sidemount; are they offering sidemount courses because they really believe in the configuration and the “art of sidemount diving”, or do they just do it because it’s cool and because sidemount has a lot of interest and media exposure at the moment? Sidemount diving is growing at an exploding rate; we are hearing about people trying side mount and starting to see it everywhere. This means that as soon as divers hear about or see sidemount for the first time, they of course want to try it and find out what all the buzz is about! Sadly this has meant that many instructors just want to be seen offering the latest thing and get another credential (sidemount instructor rating) as it is the new cool thing to offer and a way to make some quick cash. 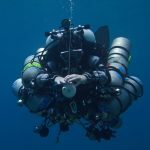 These same “sidemount instructors” don’t care about their own reputation and the damage their cheap, low valve sidemount courses have on the dive industry and people like myself who have dedicated the last few years of their career to the development of sidemount diving. 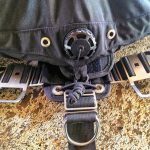 I hope this article makes student divers looking to learn sidemount think carefully about who they choose to spend their money with. I hope all sidemount instructors who are reading this really question if what they are offering is of good enough value and whether their sidemount students continue to use sidemount after their training with them. If not, and your students have gone back to backmount, please STOP teaching until you are able to offer better training. It is your reputation that will suffer, along with all the divers you train thinking sidemount doesn’t work! If I was to line up ten cave divers that use backmounted equipment from different parts of the world right now and compared all their equipment, you will find that what they are wearing, how their equipment is configured and how they perform their skills are all very similar (Google: Hogarthian System). 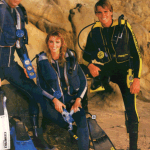 This was not the case back in 1990; the same cave divers back then would all have different BCD, regulator and hose configurations. The reason they all changed to what we have today is because what we have now is well tried and tested – it works and it’s safe. Sidemount is currently in the 1990 stage of development again; everyone has their own idea about what works and what doesn’t. There are a few of us (including myself) that would argue what we offer and teach now is very standardised. I don’t think it will take the rest of the world 20 years catch up; I think it will only take another two or three years at the most. The way we configure our sidemount systems, modular valves waist clip system. Correct hose routing, so every piece compliments the next. No additional equipment (e.g. adding a stage interferes with initial skills learnt). 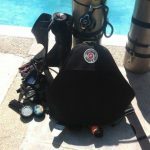 Minimalist approach to sidemount equipment (less is more!). Using the correct cylinders for correct exposure suits. 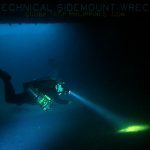 The problem with finding something you’re truly passionate about – it becomes heartbreaking for me to see sidemount being offered so badly by others, especially when you hear about the dropout rate of divers going back to backmount. I want to reassure all people reading this that sidemount diving does in fact work and I believe with the right training, I can guarantee sidemount can be superior to diving in backmount; in fact, I will stick my reputation on it!